What's the International Dialogue on Peacebuilding and Statebuilding (IDPS), the new framework for tacking conflict and fragility reached at the Busan summit got to do with a Jewish girl murdered by the Nazis during the second world war? Well, nothing directly. But I spent three days in The Hague, Holland, last week with members of civil society organisations from across Europe, America, Africa and Asia who are trying to make a new way of tackling armed conflict work, and I was struck by the role of history in shaping our future. Back at the end of November 2011 world leaders met at a High Level conference in Busan, South Korea to have a difficult conversation. It had been clear for a long time that the aid agenda for eradicating extreme poverty had failed at least 1.5 billion of the poorest and most vulnerable people. Now, to make mattters harder, the world was in the grip of the biggest financial crisis since the Great Depression, and donor countries needed to show their electorates that they were getting value for their aid dollars. So both the poorest in the world and the voters of hard pressed donor states were being short changed. But some of the countries most affected by violence had a plan, and the plan made a lot of sense. Together with donor countries they launched what became known as the New Deal, marking a fundamental shift in the way the world responded to the threat of conflict, and supported states building their way to peace and prosperity. They all accepted that the old world of top-down, one-size-fits-all, we know best, take it or leave it aid had to end, and be replaced by a genuine partnership between governments of each unique set of circumstances and donors, who jointly designed their interventions according to the reality on the ground rather than an economists' spreadsheet in a UN agency or a World Bank office. It was a breakthrough that led to a set of five Peacebuilding and Statebuilding Goals: legitimate politics, justice, security, economic foundations and revenues and services — to give clarity on the priorities to be pursued in fragile states. "We, the members of the International Dialogue on Peacebuilding and Statebuilding (“the Dialogue”), comprised of the g7+ group of 19 fragile and conflict-affected countries, development partners, and international organisations, believe that a new development architecture and new ways of working, better tailored to the situation and challenges of fragile contexts, are necessary to build peaceful states and societies. These are presented in the New Deal for Engagement in Fragile States (the “New Deal”)". Inspiring stuff, and most exciting for me was the fact that civil society, so often pushed to one side by governments because they tend not to toe a party line, was this time considered vital to the chances of success. So my meetings in the Hague were all about taking a reality check on how things were getting on and sharing ideas about how some of the real progress made in this process can be contributed to the wider vision of what the world of development might look like in 2015, once the old world of the Millenium Development Goals have expired. So these are genuinely exciting times. 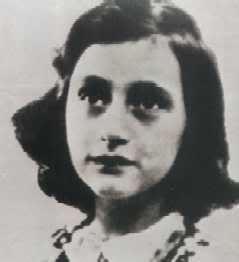 But what drew me to the link between these meetings and Anna Frank was the question of history. It's something you can't feel or poke or touch but it's a factor that has so much power to constrain what we can or can't do today. It didn't go unnoticed by several of the partners from West Africa last week that we were meeting in The Hague. Where, of course, Charles Taylor had just been sentenced to life in prison for the obscene levels of human carnage he wrought over lands in that region. And the place, as our colleagues from the Democratic Republic of Congo also noted, where warlord Thomas Lubanga had also met his judgement. 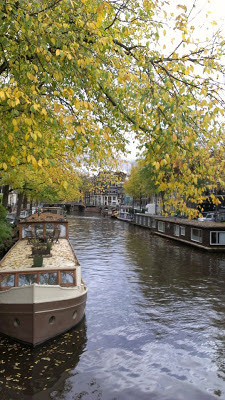 As you walk down quiet streets in Amsterdam in Autumn you are struck first by the beauty of the scene of bobbing canal boats and leaves drifting from the trees, but secondly, as you approach Anna Frank's house, the difficulty of imagining the sound of Nazi boots that once echoed down the cobbles on their way to seize more victims of the "race war" they had been indoctrinated to pursue. So Holland is a place where the history of humanity's inhumanity is all around you and it was, at least last week, the scene of intense debate between a group of committed people trying to steer the world in a better direction.